Please refer to the websites below for a list of equine rescue and rehabilitation facilities throughout the United States. The EQUUS Foundation, also known as Horse Charities of America, is a nonprofit charitable organization dedicated to improving the quality of life of horses, enabling the therapeutic use of horses for those in need, fostering the horse-human bond, and educating the public about the horse’s unique ability to empower, teach and heal. 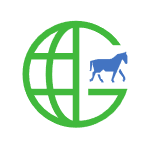 Through its Equine Welfare Network, the Foundation provides resources and best practices to equine charities across the United States, connects equine enthusiasts with these organizations, and stimulates volunteerism. The Foundation provides financial support to equine charities operating at the highest standards for the care and use of horses to reduce the unwanted horse population and prevent unwanted horses in the future.